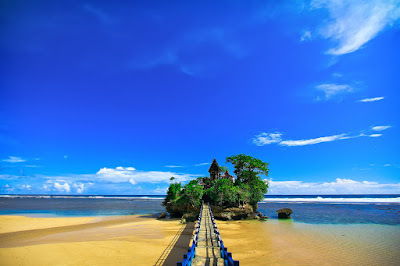 Balekambang beach is a tourist attraction beaches you can visit in Malang. Balekambang Beach Village is located in Srigonco, Batur subdistrict, about 65 km south of the city of Malang, and is one of the favorite tourist Malang district since 1985 until now. Balekambang coast with very beautiful stretches where there are coral reefs along the 2 km and has a width of 200 meters out to sea. 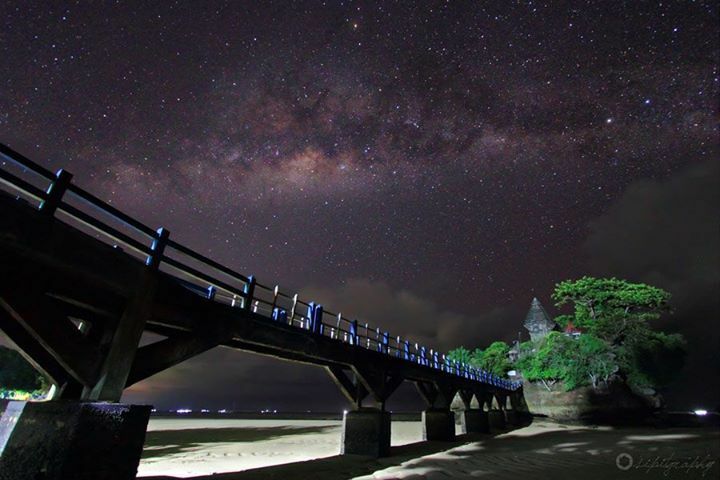 There are three islands closest to the coast, namely Ismoyo island, Anoman island and Wisanggeni island. 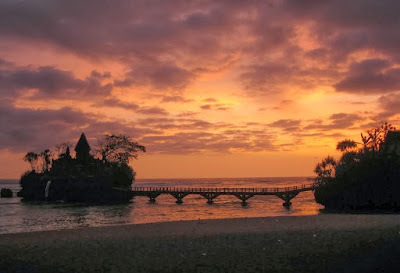 Right at the top of the island Ismoyo, there is a magnificent temple called Pura Luhur Amertha Jati, and a bridge connecting it with the main beach Balekambang. Balekambang allure is its natural scenery, huge waves and extending nearly two kilometers, and a vast expanse of white sand. 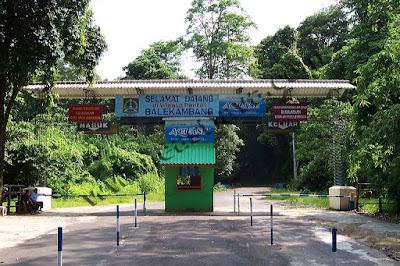 The white sand area looks clean of garbage making it convenient for visitors to play and exercise. If you're lucky, when the tide is low, you can find a variety of ornamental fish crowd that was on the sidelines of the reef. 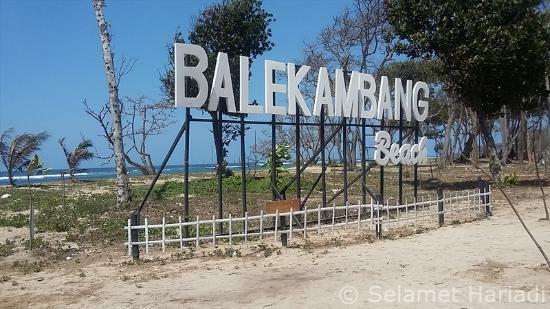 On the beach, there are three islands Balekambang stones namely: Anoman Island, Wisanggeni Island, and Island Ismoyo. Wisanggeni island connected to the shore and Ismoyo island by a bridge along the 100 meters. 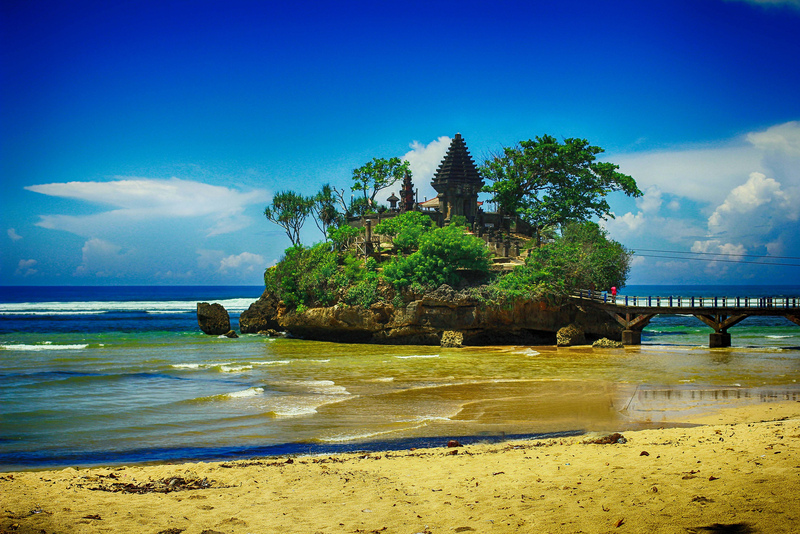 On the island stands a temple Amerta Ismoyo Jati or also known as Pura Ismoyo. 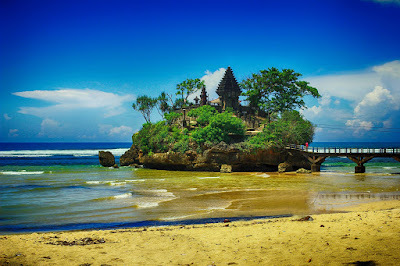 This temple has different characteristics from the temple Hindu temple in Bali. 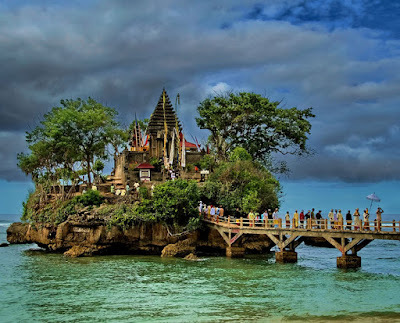 The island has a view of the temple on the rock with a bridge connecting the island looks very beautiful. Beauty and charm more spectacular sky at sunset with golden yellow. 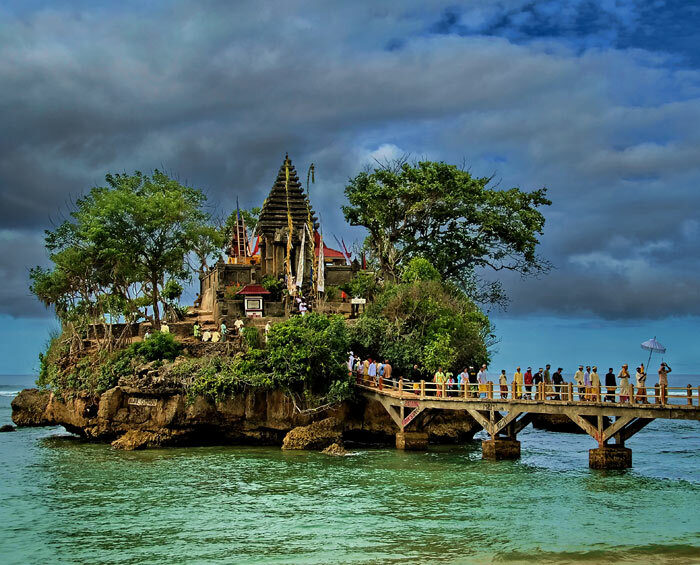 In this temple, every year held ceremonial rituals that Jalanidhipuja for both Hindus and Javanese New Year ceremony is always awaited tourists from various regions, including foreign tourists. Balekambang Beach has all the necessary amenities travelers. 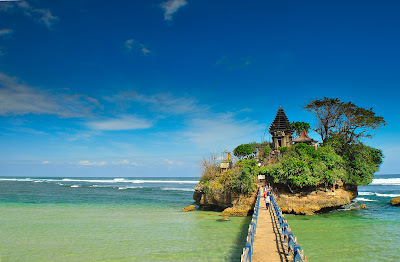 Ranging from food and beverage vendors, restaurants, a lifeguard, a souvenir shop, public toilets, to simple lodging. For visitors who likes camping, beach camping ground Balekambang available so other than to enjoy the natural beauty of the day or morning, visitors can also enjoy the beauty of the beach Balekambang night. 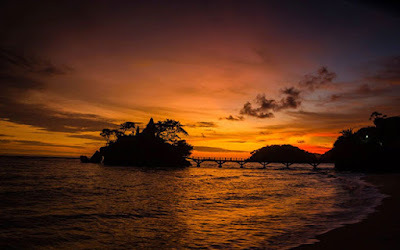 To reach the beach Balekambang, get through districts and sub-districts Gondanglegi Bantur, proceed to the village Srigono or through Kepanjen, which can all be accessed using a private vehicle, either motorcycles or cars.